Summer is winding down for us. And that means back to school shopping, getting the class supply list, back pack, and lunch box figured out before school starts. School may start soon for some of you. Hope you are inspired by these creative lunch boxes. 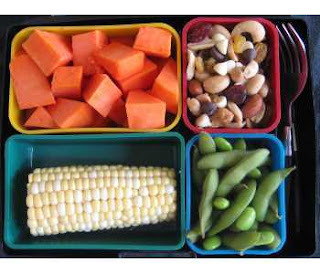 All of these lunchboxes offer up not only a creative alternative to the brown paper bag, but are a great way to help reduce lunchtime waste. Many of you have asked me how you can take Muffin Tin Meals on the go. These are great options! also no harmful plastics like BPA, and FDA approved. Bags come in a variety of colors and the boxes fit right inside the bags with room for ice pack, drink and snack! Separate compartments and streamlined size plus it's a quality product at a great price. 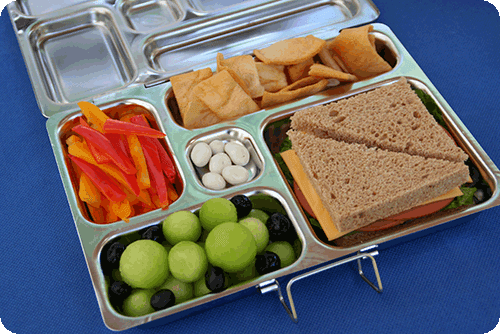 We purchased Easy Lunchboxes last year and we love them. I have since recommended them to everyone I know. I can prep the night before and leave them stacked in the fridge. 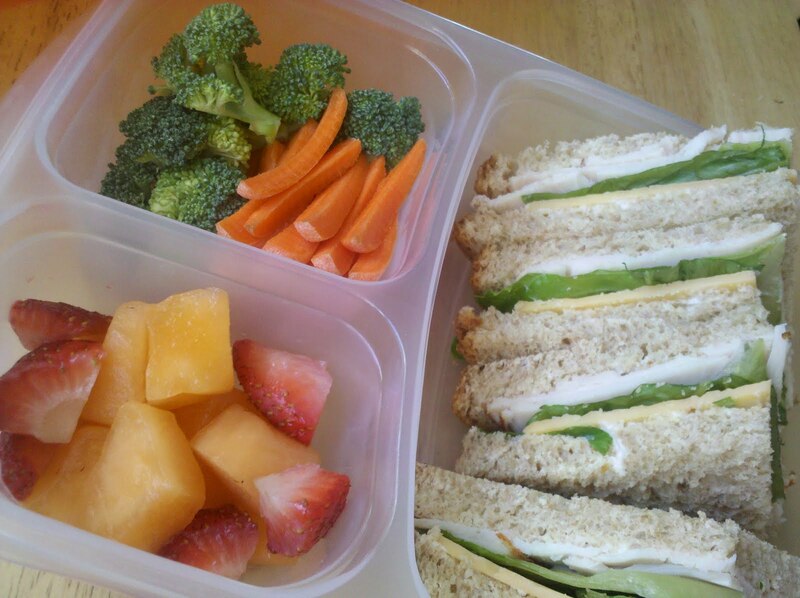 And if I am in a hurry in the morning I am so glad I have easy lunchboxes! includes compartments for a wide variety of foods and even has lids for "wet" ingredients like dips and sauces. Made with NO harmful phthalates, BPA or lead. You can also purchase an insulated tote and waterbottle to go with the lunchbox. 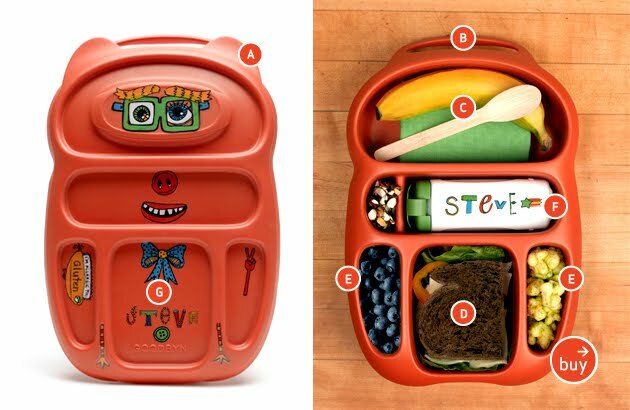 It's perfect kids and grown ups alike- It can grow with my kids and they never have to worry about being "too old" for their themed lunch box. and I know my kids would flip over these. Stainless Steel Construction, which means no plastic. Customizable with an included magnet set. Offers an insulated carry case and pocket for stainless steel water bottle. $34.95 for the box and 1 magnet set. To look at it is to love it. I like that the insulated bag has a pocket on the outside for a snack and a place for the water bottle. Stainless steel 2 tier construction, carrying handle, however may be a little harder to open for little hands. To Go Ware offers a variety of cloth sacks to carry the tiffin box- and you could even make your carrying bag to suit the personality of your child. $24.95 on Amazon, or $19.99 directly from the To Go Ware Site. *Disclosure: I was not provided with any of the products mentioned in this post. This is purely editorial. I have been debating over 3 of these for a while now!!! I love them!!! I feel that the Goodbyn might be a little big for my 3 year old,but it's my favorite!! !...I'm going to try the Easy Lunches this year! They're sending me one to review, so I'll let you know!!! Ziploc makes separate compartment boxes too that look a lot like the easy lunch boxes. You can get a 2 pack for only a few bucks. We use them a lot. Awesome post! You know I LOVE my EasyLunchBoxes but have been wanting to get a Laptop Lunch Box too. Now I am in a pickle tho...never seen the Goodbyn or Planet Box Stainless...now I want them all!!!! I still can't get over how huge the Goodbyn is. I'd be curious to know if anyone's kids actually carry that thing around. It's ridiculous! Great picks! The Goodbyn is always a fan favorite as well as the Laptop Lunches! I've had a laptop lunch kit for quite a while and love it. I first saw it on veganlunchbox.com when she was making a lunch a day for her son (that didnt include PB and J). I was hooked. I still love it and still use it. I cant wait for the boys to be old enough to use one. For now, for them I have a small metal tiffin. @Evenspor - We tried the ziploc ones and they don't hold a candle to the Easy Lunchboxes. They may be cheaper, but they don't last as long. We have had our Easy Lunchboxes for a year and they last through a year's worth of use and still going strong! My sister was just asking about boxes for my nephew.